A spectacular robot from the famous series, Power Rangers Mighty Power. 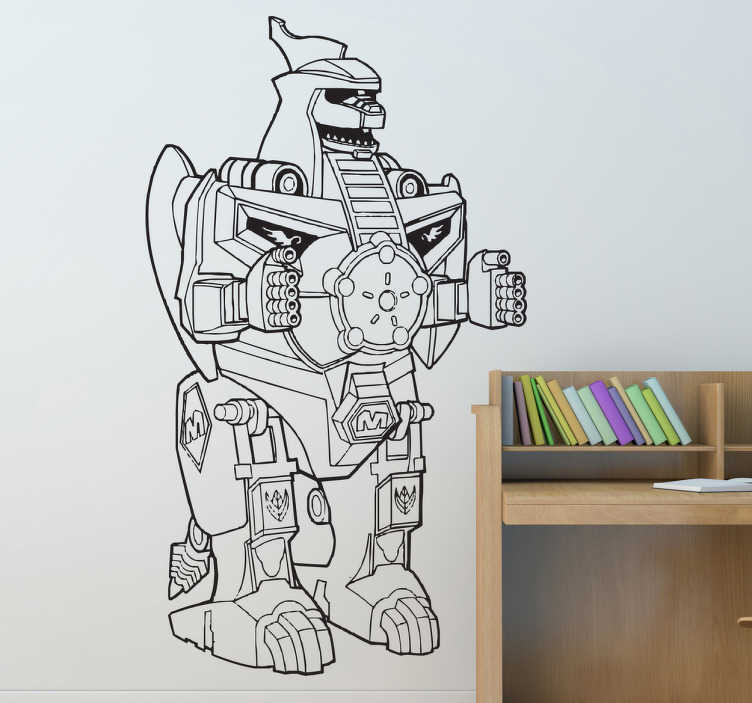 This dragonzord design is from our collection of robot wall stickers. Are you a big fan of robots? Do you watch Power Rangers? Your children probably do so why not treat them with a fantastic decal from their favourite series? This dragonzord robot decal is available in different colours and sizes. Super easy to apply and remove. It does not leave any residue on surface upon removal.